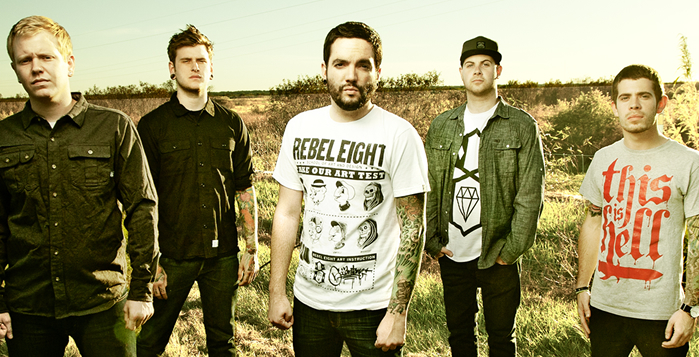 By this point in time, there are two things that most would come to expect from a new music video by A Day To Remember. One being a big emphasis on the visuals, and two being an eventual cameo appearance by their ex-guitarist Tom Denney. Last night, the Ocala five-piece premiered a music video for “Right Back At It Again,” one of the hit singles from their fifth full length, Common Courtesy, which dropped back in October, but saw a physical release on November 25. Featuring a fun recollection of the band’s story since their early days in a pseudo-animated format, this music video is surely worth your time this Friday morning. In addition to their string of Soundwave Festival appearances in Australia and their European headliner with Every Time I Die, the group just recently announced their own “Self Help Festival” to take place in San Bernardino, California in mid-March, with tickets being made available right here. Follow the jump to watch the video.